The Clam is an interviewee who opens his mouth to say some words, then shuts it again after saying the minimum required of him. What we have here, ladies and gentlemen, is a purely re–active subject, as opposed to the pro–active Runaway Train or Politician [discussed earlier]. The Clam needs guidance, like the 'bad' variety of Runaway Train – the difference is, he'd rather be sleeping on the tour bus right now, getting another tattoo or basically be anywhere else, even if it involved physical pain. It's a tough one. When you ask your carefully prepared Gangbusters opening question, and the subject's answer contains fewer words, you know damn well you're in trouble. Suddenly, you glance at your list of questions and are horrified to realise that, if The Clam carries on like this, you won't make your commissioned word count without a great deal of padding. The good news? Some Clams warm up. This guy might have woken up an hour ago, for all you know, and his brain might still be rebooting. See if the lengths of his answers increase during the first few questions. If so, you know you'll be all right – and don't forget, you can always go back to those opening questions later, when he's more willing to put some effort into tackling them. Those open questions we discussed [earlier in the book] are especially vital when you're dealing with a Clam. Ask "Are you enjoying the tour?" and the slippery Clam–mind might simply respond with "Yeah". Do not let him off the hook that easily. The Clam's limited comebacks might be down to a number of factors. He could be one of those interviewees who remains blissfully unaware of what you need from him – juicily quotable stuff or at least more than a scant few words. Like the Runaway Train, he needs guidance – but a gentle push, rather than a change of tracks. The Clam might be nervous. In that case, go into friendly overload. If you're up to it, make them laugh. Evaporate that fear. Hey, you seem like a nice person – maybe this won't be so much of a torturous ordeal! What you're achieving here, hopefully, is establishing a subconscious debt in their mind. A conversation should be a two–way street, so if they believe in being polite, they owe you some words. Furthermore, if you talk without asking them a question, it helps to erode the slightly contrived set–up of all interviews – one person asking another person a lot of questions. If they fear or even dread interrogation, then your banter will help to make this experience feel more like an actual conversation than an inquisition. You can also use oh–so–subtle personal cues to make a Clam realise that they're not saying enough. Leaving a pause after their concise answer, with a face that suggests you're unsure whether they've finished, might help. Might. Silence can be golden here. This is a widely–used tactic in radio: even the tiniest silence after someone’s answer will almost always prompt them to continue. If you can't warm up The Clam, then you're just going to have to run with it. You'll have to get to that pearl which lurks within, by gently tapping on its shell 1000 times, rather than simply hauling it open and treating yourself to its precious bounty. Ask question after question. Think 'em up on the spot. Be as interested in this person as you possibly can. Work with them, as if you desperately want them to do this interview–thing well (and let's face it, you do). If all else fails, give them free rein. Perhaps they're disinterested or nervy about the topics you've been trying to cover. Find out what they’re really into. Ask what kind of things they like, outside of whatever it is that they do. When you strike gold – or as close to it as you can get with a stubborn Clam – the transformation can be truly astounding. You'll see it in their body language, when they sit forward in their seat or when the dull matt finish on their eyeballs becomes a shiny gloss. More than anything, though, you'll see it in the greater number of words they're funneling into your recording device. "I have literally nothing to say"
You see, it could be that The Clam is bored of talking about all the stuff you've been quizzing them over. They might have talked about it literally 100 times. Perhaps the first, second and 15th times journos made those same enquiries, they were met with a veritable torrent of verbiage. Then, over time, The Clam started to feel like a performing monkey (imagine a pair of cymbals in that image if you like – I know I am), trotting out the same old anecdotes and the same Reasons Why They Did Stuff. The Clam became locked in his own personal Groundhog Day. If they're not all that media–savvy, they mightn't understand why you need to ask the same questions again. They've already answered them, dammit – they're out there on the Internet! Why hasn't this journo done her research? Of course, this breed of Clam doesn't understand that you need to hear it in their own words. You need your own quotes – that's why you're here, rather than cherry–picking stuff off the Internet like the publications who didn't make the interview–list are probably doing right now. If you sense that a weariness at answering the same questions is to blame for the lack of wordage you're getting, then feel free to apologise for having to ask them the same old, same old stuff. It's just that you need to hear it from them directly, etc. Nine times out of 10, they'll tell you it's okay and liven up a little. If you're having a really hard time of it, though, and are feeling suitably robust: ask the subject how they feel about interviews. This could well be an interesting subject in itself. 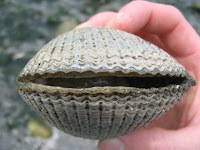 Beware, though: if you come across too aggressively with a Clam like this, it could backfire. After all, you'll be reminding them that they're being interviewed. Any work you've already done to try and hide the situation's unnatural scaffold poles with the tarpaulin of free–flowing conversation will be undone. But if you think it'll be okay – and more importantly be worth it, then go right ahead. Find out why they've clammed. If it turns out that this is an unusual day for them and they're feeling a bit off because of X or Y, then that's a new avenue of potential discovery about them, right there. Incidentally, if you've previously read interviews in which the subject was perfectly forthcoming, then some external factor is probably the most likely reason for what's going on, here in this room, on this particular day. So, I hear you ask: what if nothing works? What if your Clam turns out to be more of a stone and you're doomed to spend 45 minutes attempting to get blood out of it? Well, here's the surprise: you're in luck. This is great. Because, provided your publication allows this kind of writing style, you can make a virtue out of this apparent disaster. Make the article about getting blood out of a stone. As with The Politician above, as long as the reader/your editor can see you put in as much effort as you could, the short answers will be entertaining. All of a sudden, there's great comedy potential in those one–word answers – especially if you can find a way to do it without blatantly mocking them. This kind of approach to a feature works best, I'd say, if at some point – preferably close to the end of your chat – you've done that aforementioned thing of asking them about their attitude to interviews, or at least tried to glean an insight into their character. Or both. The reader will be craving a reason or explanation for why this person's so unresponsive. Try and give it to them, even if it's inconclusive. Worst case scenario: give them your own assessment of why the interviewee was a big old Clam, based on your limited time with them. 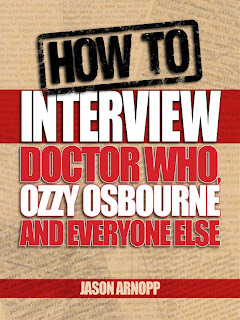 You can discover the next Interviewee Type, by buying How To Interview Doctor Who, Ozzy Osbourne And Everyone at Amazon UK, Amazon US, Amazon Germany, Amazon Spain, Amazon Italy or Amazon France. You can also buy it direct from the author. The book hopefully covers every aspect of interviewing people. Planning, research, arriving at the interview, dealing with PR politics surrounding your subject, conducting the interview itself, winding the interview up, writing the interview - and all the stuff in between. Over the course of these 28,000 words, you'll discover the worst case scenarios of interviewing, so you can prepare for them. If you still have questions at the end of this book, you can ask them via a special Formspring account. 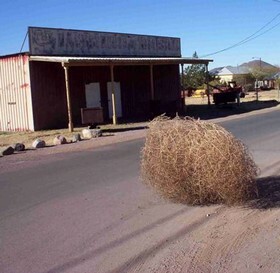 Only one reader has had a question since the book's launch in August 2011. "With a great sense of humour and a sharp ear for the telling quote, Jason Arnopp is an interviewer who always gets the goods. Read and learn” - Andrew Harrison (The Word’s Editor-At-Large and former Editorial Director of Q, Mixmag and Smash Hits). Buy How To Interview Doctor Who, Ozzy Osbourne And Everyone Else at Amazon UK, Amazon US, Amazon Germany, Amazon Spain, Amazon Italy or Amazon France. You can also buy the book direct from the author, in a special Triple Pack of ePub, Kindle and PDF files, which should allow you to read it on any platform. More details here. Welcome! I'm a former journalist of over two decades, who has written for Heat, Q, Doctor Who Magazine, SFX, Zoo Weekly, Bizarre, The Word, Kerrang!, The Dark Side, FHM and more. I set this site up in July 2011 in order to present information and advice for aspiring journalists. Plus, perhaps the odd article of interest to pros. Examine my new ebook on Amazon UK! Doctor Who Magazine's Editor Interviewed!